The General Foundation of the University of Alcalá, through the Instituto Quevedo del humor announces the XXV International Exhibition of Arts of Humor around the subject “The Movements and struggle of workers”. There will be more information about the subject in the website. 1. Participation is open to all the persons older than 18. 2 In order to participate in the Exhibition, every artist must send a piece on the theme THE MOVEMENT AND STRUGGLES OF WORKERS. It can be a vignette, a comic strip or a caricature. Together with the piece, the authors must send the filled formulary attached to these requirements, that can also be found and sent online (www.miah.iqh.es). The organization reserves the right to invite those authors that the organization members agree to consider important for the exhibition. 4 All pieces will be sent properly wrapped. It is recommended to protect them with flat cardboard. The organization won't take responsibility on any possible damage occurred during transportation. All shipping charges will be at the participant's expense. 6 A Selection Comission will carry out a selection of the pieces submitted, that will be exhibited in the XXV Internacional Exhibition of the Arts of Humor in september-november. 7 All pieces submitted will be kept at the Graphic Humour Archives of the General Foundation of the University of Alcalá, except specific indication to the contrary, for which the artist must write on the reverse of the piece “Devolución”. The authors who want a donation certificate must write "Certificado" on the reverse of the piece. 8 The submission of the piece means that the author authorizes the General Foundation of the University of Alcalá to reproduce it and exhibit it, as long as the name of the artist is displayed and the objective is the media coverage of the Exhibition and the rest of activities of the General Foundation of the University of Alcalá within the field of Graphic Humour and/or of this call (edition of catalogues, posters, leaflets, media coverage, web page, etc. ), and in any case it generates any type of obligation on the author's part. 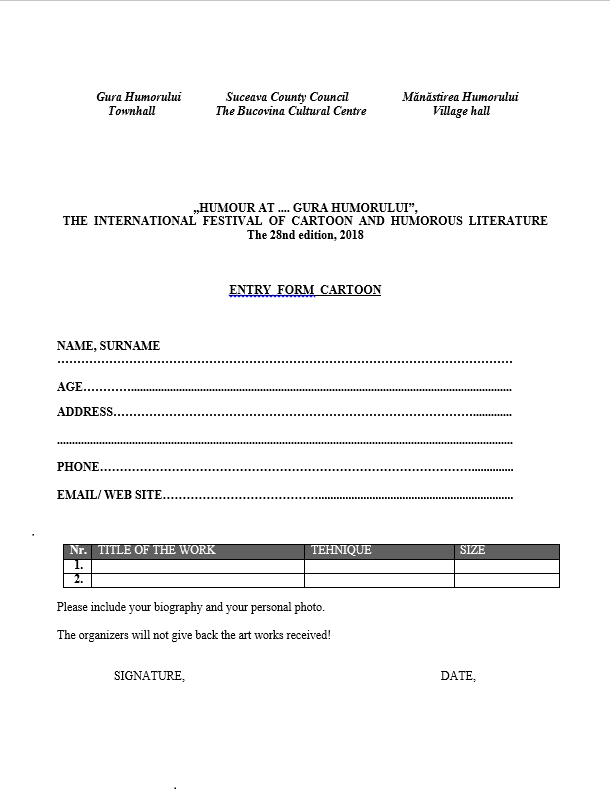 Personal information forms and cartoons are to be sent to festival email. Cartoons already awarded in other festivals will not be judged. Cartoons will be used for festival announcements and likes. Files must be in JPG, 300 DPI and 2000×2000 Pixels. Cartoons accepted will be printed in festival book, a copy of which will be sent to their artists. 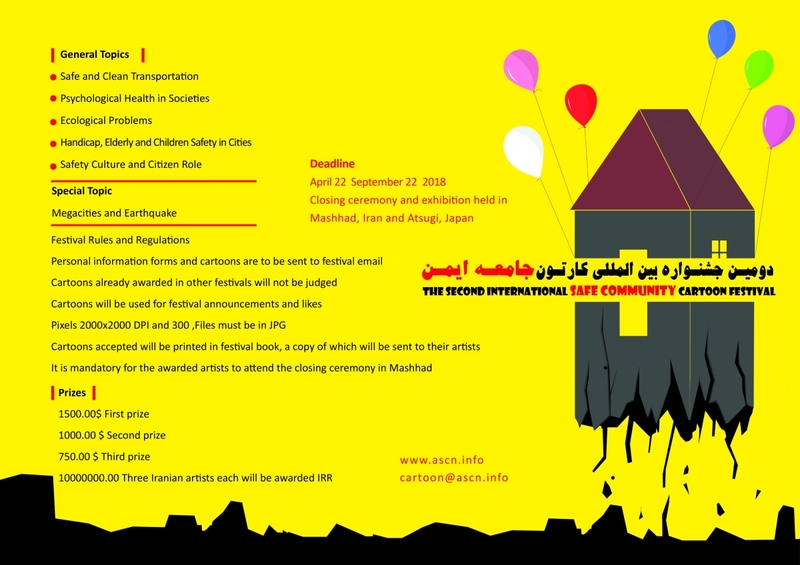 It is mandatory for the awarded artists to attend the closing ceremony in Mashhad. Three Iranian artists each will be awarded IRR 10000000.00. Closing ceremony and Exhibition held in Mashhad, Iran and Atsugi, Japan. Click here for festival information file. 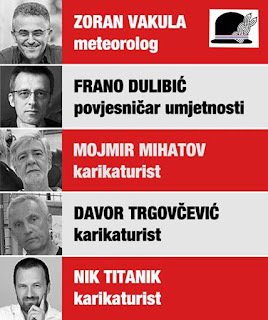 The 28th edition of Humour at ... Gura Humorului, the International Festival of Cartoon and Humorous Literature will be held between June 22 – July 1, 2018. 2. Original works are accepted, in digital format, created after January 1st, 2018, which were not published and submitted or awarded prizes to other competitions. 4. 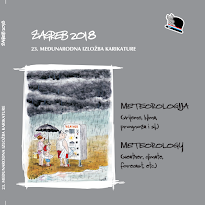 The works will be submitted by May 31st, 2018 (posting date) on the following addresses: email: umorlahumor@gmail.com or postal address: Muzeul Obiceiurilor Populare din Bucovina, Piaţa Republicii, nr. 2, 725300 - Gura Humorului, judeţul Suceava, România. 7. 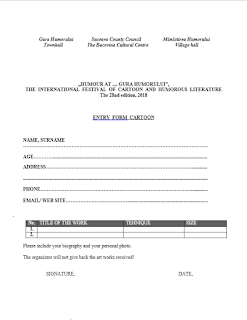 The participants are required the following documents enclosed with their works: the completed entry form attached, a brief CV and a personal photography/cartoon self portrait of minimum 6x9cm ( on paper) or 710x1065pix. (digital format). 8. The prizewinners will be notified by June 20th, 2018 to be present for the Awards Festivity held on Sunday, June 24th, 2018. 9. Transport expenses, accomodation and meals are the responsibility of the participant or the organization/institution he/she is part of. The organizers will be notified in due time to make the necessary reservations. The "George Gavrilean" Prize for the debutantes in Bucovina EUR 200. Like every year the Studio d'Arte Andromeda was invited to participate the XIII edition of Festival dell'Economia in Trento from May 31st to June 3rd 2018. Our organization will create a satiric humor space where visitors will have a different perspective on this theme, discussed by international characters coming from areas such as economy, politics, press.... etc. There will be a constant presence of real life humorist, cartoonist and illustrators, and we will set up an exhibit of cartoons and humor illustrations in the stand hosting us. The exhibition will be visible also online. 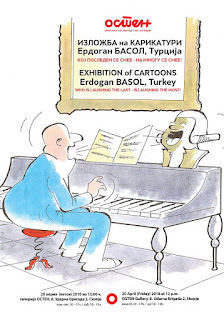 Visitors will be invited to vote for the best cartoons and humorous illustrations among the exposed works. The prizes are symbolic, but have a great value in visibility. The exhibition will be visible on the Provincia Autonoma di Trento website and on the official Festival dell'Economia website. Works requirements: Max 1 Mb, 300 dpi, jpg format. “Libo International Children Animation & Comics Festival 2018” (ICACF 2018)—Green Gem International Competition organized by Culture & Multimedia International Association is an open competition. The entries for the competition include all artworks and animation which reflect content about ethnic children using various subjects by qualified artists implementing a variety of techniques. Children are encouraged to submit their works for competition, exhibition and publication. Single-frame work, comic strips, illustrations, caricature, drawings, graphics and other works of original fine art. It is encouraged that the artists create ethnic children with unique characteristics and customs from their own countries and regions in order to reflect the rich and various races of the world. All animation works suitable for children submitted must be 1-22 minutes in length. Any of the following animation types are acceptable: Computer-assisted or Computer-generated, stop-motion (including clay animation), 2D works, 3D works, FLASH, puppet animation, paper-cutting works, in fact, any format except live action! a) Maximum A3 (297mm x 420 mm), minimum A4 (210mm×297mm). b) Any printed submission will not be accepted (work can be submitted in either computer or hand drawing; however, the electronic-version of submission is definitely required). c) Participants can also send electronic edition (scanned copy) with a minimum size of “300 dpi” in “.TIFF” or “.JPG” to cmiassn@vip.163.com. b) Animated submissions (including FLASH) should be submitted in “.MPG” or “.AVI” or “.MOV” format and 5 still images are required separately, which is used to present character and background with a minimum size of “300 dpi” in “.TIFF” or “.JPG”. For each FLASH works, a copy of “.SWF” submissions are required. c) In case of multiple submissions, please separate each individual submission. An uninterrupted multi-work submission is not allowed. a) All works are preferred to be subtitled in English. b) The story background, synopsis, brief introduction, and character description are required in either Chinese or English electronic-version. Artwork submitted for competition will be judged by an International Jury. The Jury will award the following cash prizes along with a certificate for each award. a) The jury has the right of final distribution of statutory prize and all of the jury’s decisions are final. b) Organizers plan to award the artist with the best debut and will give him/her the opportunity for an individual exhibition at the Gallery which will be included in the 2018 program. AWARDS ARE SUBJECT TO TAXATION ACCORDING TO THE CURRENT REGULATIONS. a) Artwork submitted for competition will be judged by an International Jury. The Jury will award the electronic certificate to the finalists. b) Submission finalists would be included in the album. And the electronic certificates and catalogue (if the album is not released on time), will be sent to the finalists. All results will be announced on July 23, 2018. 1. Artists of work qualified for the exhibition will be given an electronic catalogue. 3. The exhibition organizers are the final judges in interpretation of the rules and regulations. 4. By sending his/her work, the artist agrees to the mentioned above rules and regulations. 6. All the submissions will not be returned. "Who is laughing the last - is laughing the most"
20 April - 5 May 2018 at the OSTEN Gallery Skopje. Not all television shows or radio broadcasts present educational information. The information tends to be packaged according to industry interests. In fact, not infrequently the television and radio media are used for the benefit of a particular group or person. There are many also present violent impressions, ethnic offensive, religion race and intergroup (SARA), and many others who connotes negatively. Actually, in Indonesia Law no. 32/2002 on Broadcasting in mandated, that the content of the broadcast should contain information, education, entertainment, and benefits for the establishment of intellectuality, character, morals, progress, nation power, maintaining unity and unity, and practicing Indonesian religious and cultural values. To encourage the realization of healthy broadcasts, it needs to involve a community to control the content of the broadcast. 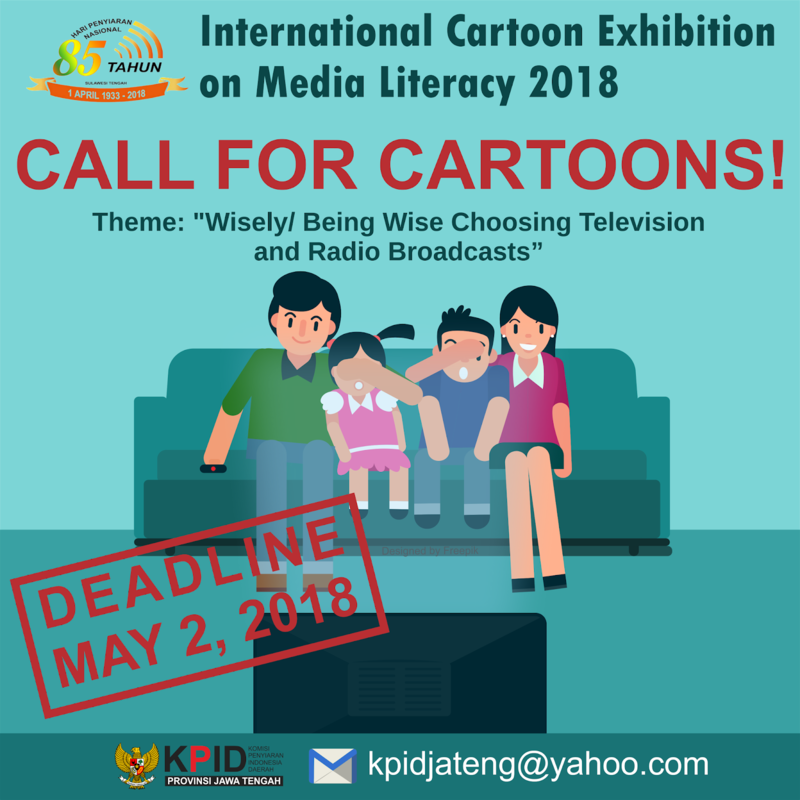 As a form of campaign, the Regional Indonesian Broadcasting Commission (KPID) of Central Java, Indonesia will hold an International Cartoon Exhibition on Media Literacy. The exhibition is also to commemorate the 85th National Day of Broadcasting (Harsiarnas) in Central Java, Indonesia. 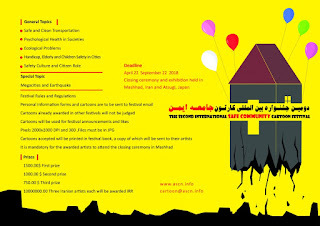 The committee invites cartoonists around the world to participate in this exhibition. THEME: "Wisely/Being Wise Choosing Television and Radio Broadcasts"
1. 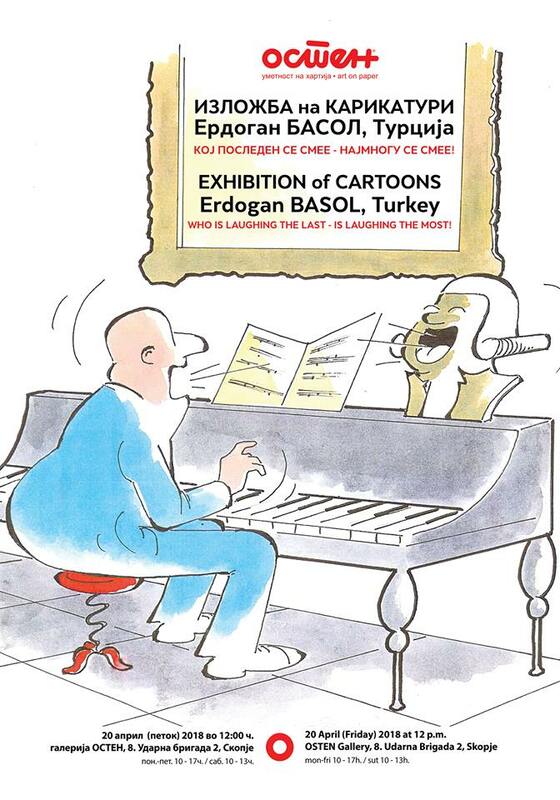 This cartoon exhibition can be followed by cartoonists from all over the world. 4. File size / format: minimum size: 1 MB; maximum size:15 MB; file format: JPG; Resolution: 300 dpi; Color mode: RGB. The work must be safe and good to be printed on A3 paper. 6. 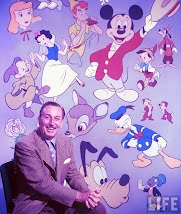 Cartoons are the cartoonists original idea. 8. Participants will get certificates. 7. 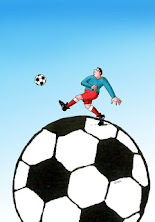 The copyright of the work of the contest remains in each cartoonist. 8. The exhibition committee is entitled to use the work received for the purposes of publication, branding and others that are still relevant to the exhibition. 5. Abdul Arif (Chairman of Gold Pencil Indonesia). 1 - PARTICIPATION: April 2 to June 18, 2018. 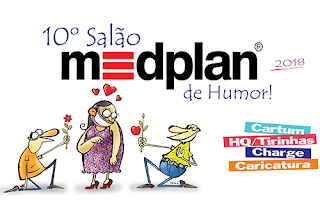 The 10th Salão Medplan de Humor is open to all graphic artists, who can register works that have not been awarded until the closing date of the entries, in the cartoon, caricature and comics modalities (The comic strip should have only one page). The opening of the Exhibition will be July 28, with the announcement of winners. Each artist can enroll with the maximum of five ( 5 ) UNPUBLISHED works in the format 30x40 cm and using any technique . On the back of each drawing, or in registration must include the author's full name, address (with ZIP code), email, phone number, ID number, social security number and bank account. 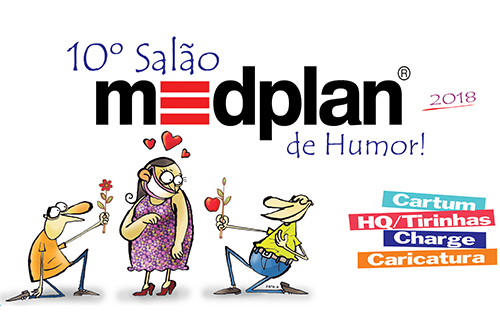 The theme of the 10th Salão Medplan de Humor will be FLIRT. Second Place: R$ 3,000.00 (three thousand reais). Internet Award: R$ 2,000.00 (two thousand reais) . Medplan Award Caricature: R $ 2,000.00 (two thousand reais). Free theme. Medplan Award for Comics / Comic Strips: R $ 2,000.00 (two thousand reais). Free theme. The best works will be part of the traveling exhibition of the 10th Salão Medplan de Humor. The awarded works will be considered acquisitive and will become part of the acquis Medplan. May not participate in this hall officials Medplan, their relatives and anyone involved in your organization.